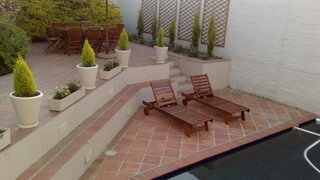 We enjoyed a weekend away in Stellenbosch. We roamed the streets and enjoyed the vibe. Weather was perfect! 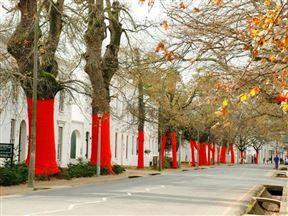 Comfortable walk to most of the things to do in Stellenbosch, eg. the Toy Meuseum, etc. Driving around by car is hectic. Too much traffic for the narrow roads. We always enjoy spending time in Stellenbosch.It is a very beautiful town and there are many family activities in which to engage. 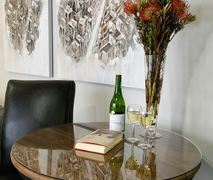 You’ll soon be exploring the wineries of Stellenbosch, what a superb choice! 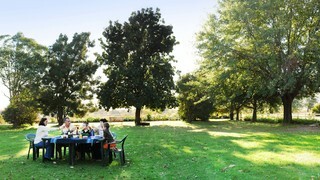 Go wine tasting and enjoy panoramic views at the Waterford Estate. Admire the paintings, sculptures and tapestries of 20th-century South African artists at the Rupert Museum. Observe fascinating predatory birds at Eagle Encounters. 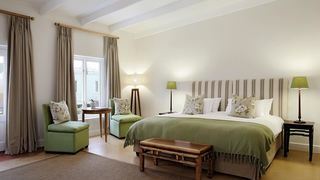 Most of our visitors seeking accommodation in Stellenbosch prefer to stay within the town of Stellenbosch or other nearby famous wine towns such as Paarland Franschhoek. 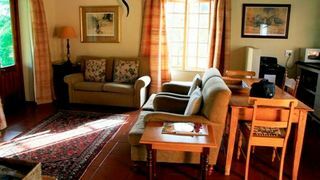 Others prefer places to stay somewhat further out, including near the wine estates of Durbanville, and the scenic coastlines offered by Strand, Gordon’s Bay, Betty’s Bay, Pringle Bay and Kleinmond. 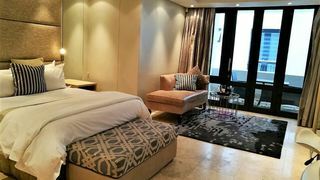 Other great areas include places to stay in Sea Point, Camps Bay and Bloubergstrand. Consider staying in the other areas outside of Stellenbosch! 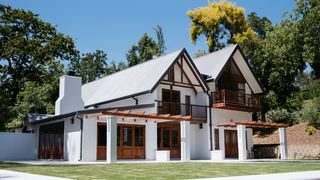 West of the Stellenbosch Farms is the busy Bellville, home to the Tyger Valley shopping centre, the historically informative Mayibuye Centre and the Bellville Golf Course. 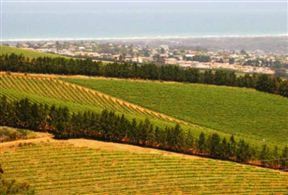 Further to the northeast is Wellington, another one of the famous wine towns outside of Cape Town. 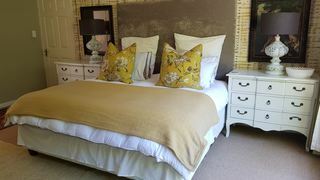 In the magnificent Elgin Valley, spend time in the charming Grabouw. Go for one of the ultimate shopping experiences at Canal Walk in Century City. Enjoy the wonderful views from Bain’s Kloof Pass with places to stay in Bainskloof. For a busier scene, head to the town of Parow. On the other side of the Theewaters Nature Reserve, there’s the quaint Villiersdorp. 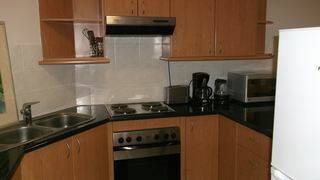 Book a self-catering place to stay and enjoy the benefit of having your own apartment and fully equipped kitchen. More often than not, you can get such offers and get good value for money! Do you enjoy experiencing hospitality more? 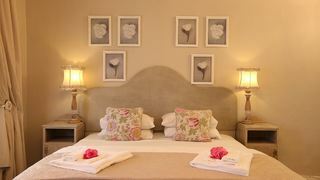 Then consider the bed and breakfast types and guest houses in Stellenbosch. 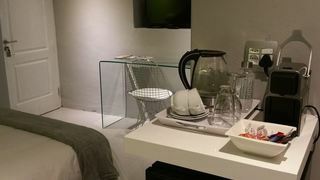 How about more luxury and room service? 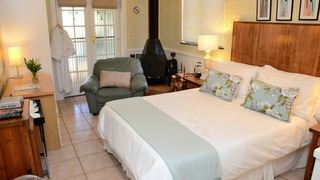 There are plenty of excellent hotels and lodges in the town. 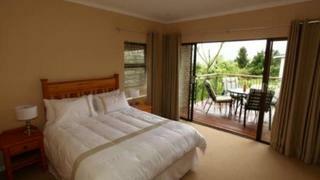 Several accommodation offers are available with private Jacuzzis, swimming pools and indoor fireplaces. On a budget? There are backpacker options in Stellenbosch to ensure you can save while you’re enjoying your holiday. 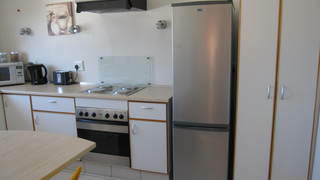 Good luck finding your perfect accommodation in Stellenbosch. Are you looking for something special and are you having trouble finding it? Give us a call then during business hours on 021 710 5800, and we’ll gladly help!